Last week my 17 months son was very sick, he had a fever and sore throat and he didn’t want to eat anything. So my mother told me to give him some rice water to drink. She told me rice water would provide him energy due to high concentration of carbohydrates, which power the body. Rice water also contains eight essential amino acids, along with many vitamins and nutrients. But as a research addict, I started doing my researches on rice water .. and what I discovered was really interesting. Rice water is not only a good nutrient and an energy boosting, it has been used by Asian women to bathe and wash for beautiful akin and hair. It is also used in many expensive skin care products, which claim to revitalize the skin’s natural glow and keep it crystal clear. But how to make rice water and how to use it for gorgeous skin and hair? First, let’s talk about the methods used to prepare the rice water. Cook the rice but use three times the amount of water you usually would. After the rice is cooked, strain it out. Dilute some of this water into a cup of water and store the leftover concentrate in the fridge in a covered container up to one week. Put ½ cup of rice to 2 cups of water for 15 minutes. Strain the rice and the water is ready to use. You can sit in a jar at room temperature for two days after that store it in the fridge. Second, I am going to explain the ways to use rice water. 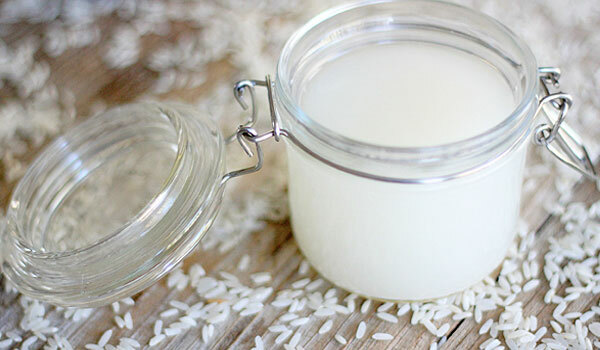 You can use rice water as a skin toner for your everyday skin care routine. Damp a cotton ball into the rice water and apply it on your skin, which helps to reduce the size of the pores on your skin. You can also apply it on the acne area that will gradually reduce the redness. Rice water also lightens and brightens up your skin. Using the rice water regularly will glow your face, and gradually improve your skin tone. Besides this, rice water has also moisturizing, antioxidant and UV-absorbing properties, along with an ability to bind to naturally occurring copper in the skin, thereby preventing the formation of melanin and age spots. Hair Mask: pour the rice water on your hair and scalp. Leave it for 20 minutes then wash it with shampoo and conditioner. That will leave your hair long silky and shiny. Hair Conditioner: for smooth and shiny hair, after shampooing rinse your hair with rice water and leave it on for few minutes then rinse well. Rice proteins strengthen the hair shaft and fill in the cracks. So next time you boil rice or simply wash the rice in preparation for eating, think twice before tossing the rice water! Great article with Such a great information! Will start using it!! A question please, for the non boil method. Do I was the rice first before soaking it, or directly put the rice as it is from the bag? Thank you! 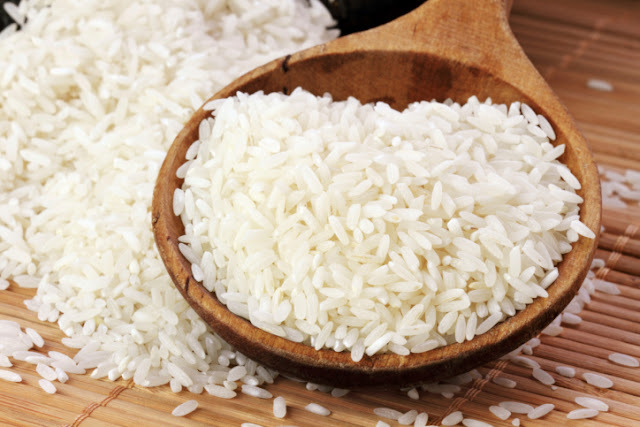 I would prefer that you rinse the rice first to remove any dirt and impurities. I would also recommend that you use organic rice because it is free from pesticide or fertiliser.